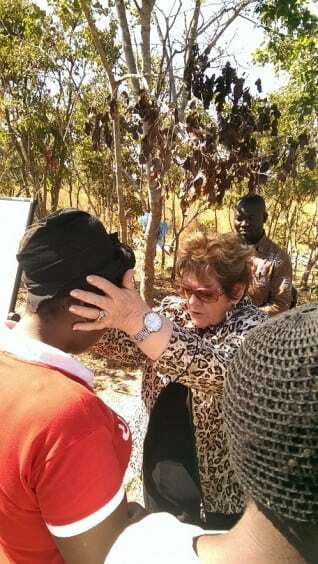 This second instalment of Robyn’s reflections on her short term mission trip to Zambia. We know the meaning of impact is to have a marked effect or influence, it also means to collide forcibly with another object. I hit the ground running. Two all day retreats, two birthday celebrations, three church services, four ladies meetings, a five day safari in two countries and numerous meals shared with family and friends…all in 25 days. Relationships, not time, are very important in Zambian culture. Chankosa: TTN has been part of this rural village for about 3 years, refurbishing the medical clinic and building a maternity clinic and school. About 70 women, some walking for hours with babes on backs, attended this meeting. We sat under the trees, Gladys opened the meeting with unaccompanied singing, all joining in, praising and worshipping God for His blessings. We shared our testimony, the salvation message using the Wordless bible and I shared about the Powerful Potential of a woman, and how we are women of impact and our personal survival kit, which reminds us daily of who we are and what we have in Christ. Some 25 women gave their hearts to Jesus. We prayed for the sick, babies had malaria. Some were filled with the Holy Spirit. Many had bad dreams, and many were lone parents desiring prayers for their children and for financial needs. Most were farmers who worked hard in the dry dusty land to keep their families fed. But their singing and appreciation for us coming to visit them was something to be cherished for a long time. Kabwe Chapel: I spoke about being Equipped for Purpose as we are the Master Craftsman’s Masterpiece. All the ladies created a Dream Board, pasting positive and productive pictures on a board to renew their mind, pray over for the next 12 months and see how mightily God could do the absolute impossible for each lady. 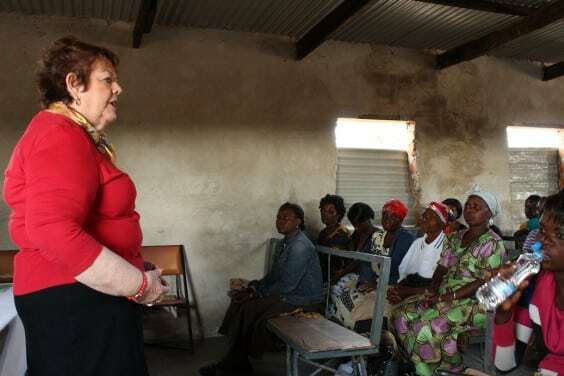 It is said, “Educate a woman in Zambia and you educate the whole community, as she will share her knowledge with her family, friends and community”. 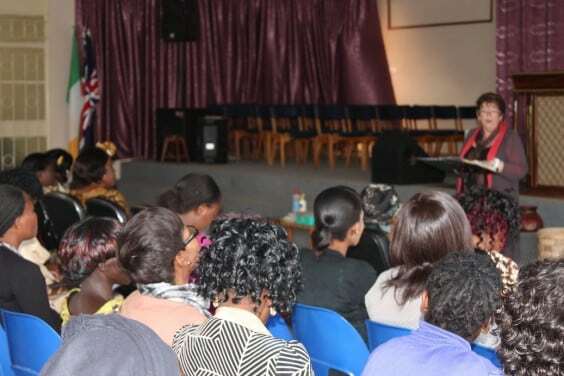 Kangomba: The 40+ ladies who came were touched by our testimonies, our messages were around the Wordless Bible, their Potential as Women and we sent them home inspired, encouraged and with a survival kit in their hand, to always remember who they are in Christ. We experienced their humility and faith in believing in the saving power of the precious blood of Jesus. Several were saved and we prayed for most of the ladies. It was a delight to share 7 Tips from Lydia, a Business Woman in the BIBLE with the Dallas Ladies Group. Offering insight and encouragement… Prayer, Pleasing the Lord, Design a powerful Company, Non-Traditional opportunities, Balancing work & home, Grow your business, Know that God wants you prosperous. In return each lady blessed me with their kind words of appreciation and some lovely gifts. Her constant reply to people and occasions of negativity was “It is well” she did not allow her emotions to betray her faith. Fear brings grief – but faith brings glory to God. As I look back to the ladies we met on those retreats and the people I ministered to and prayed for at church services I remember mostly the joyful, heartfelt praise and worship to our Heavenly Father. The women, the people in these communities do not live comfortable lives, yet when they come together for the purpose of sharing God’s word they do not permit their circumstances to betray their faith. They lift their voices, their faith brings glory to God. Psalm 9:1 (AMP) I will praise You, O Lord, with my whole heart; I will show forth (recount and tell aloud) all Your marvellous works and wonderful deeds! Brilliant !… just brilliant… God is tangible .. in the words you write.